Whether the business is a small scale or at a large scale, waste management is necessary for all types of businesses that generate significant quantity waste. For sustainable growth, it is pretty much necessary to think towards procuring appropriate waste management services. These services are not confined only to the industrial waste, but also extends to construction and demolition waste that’s why waste management services are gaining popularity these days. Nowadays the business policies and protocols are very rigid regarding environmental waste management, so these services are playing a significant role by providing services to organizations to fulfil their civic responsibilities. The continuous rise in energy cost for large and the growing demands placed on them to cut cost and to reduce greenhouse gas emissions has contributed to a increase in demand for energy services, including energy auditing, ESCOs, renewable energy etc. An Energy Audit is the first step taken to gain an understanding of current energy pattern, quantification and identification of areas of concern and seek for opportunities to conserve energy and reduce costs. Energy Auditing is a starting point that should lead to actual implementation of energy efficiency measures. GE3S is leading Estidama Consultant in UAE. Estidama is not just a rating method or something people do, it is a vision and a desire to achieve a new sustainable way of life in the Arab world. The ultimate goal of Estidama is to preserve and enrich Abu Dhabi's physical and cultural identity, while creating an always improving quality of life for its residents on four equal pillars of sustainability: environmental, economic, social, and cultural. This touches all aspects of life in Abu Dhabi - the way we build, the way we resource, the way we live, the choices we make - all in an effort to attain a sustainable state of living. 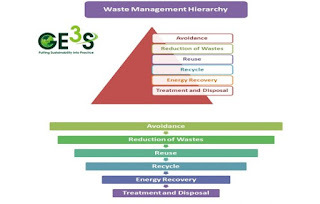 GE3S is a trusted leader in providing Waste Management Service. 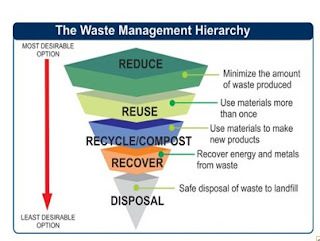 Waste management is all the activities and actions required to manage waste from its inception to its final disposal. This includes amongst other things, collection, transport, treatment and disposal of waste together with monitoring and regulation. It also encompasses the legal and regulatory framework that relates to waste management encompassing guidance on recycling etc. Recycling is the process of converting waste products into new products to prevent energy usage and consumption of fresh raw materials. Recycling is the third component of Reduce, Reuse and Recycle waste hierarchy. The idea behind recycling is to reduce energy usage, reduce volume of landfills, reduce air and water pollution, reduce greenhouse gas emissions and preserve natural resources for future use. GE3S is the best Environmental Impact Assessment Consultant in Dubai.Environmental Impact Assessment (EIA) is a process of evaluating the likely environmental impacts of a proposed project or development, taking into account inter-related socio-economic, cultural and human-health impacts, both beneficial and adverse. 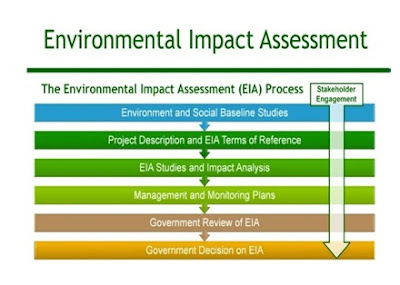 Environmental Impact Assessment (EIA) as a tool used to identify the environmental, social and economic impacts of a project prior to decision-making. It aims to predict environmental impacts at an early stage in project planning and design, find ways and means to reduce adverse impacts, shape projects to suit the local environment and present the predictions and options to decision-makers. By using EIA both environmental and economic benefits can be achieved, such as reduced cost and time of project implementation and design, avoided treatment/clean-up costs. GE3Sspecializes in Waste Management Consultancy Service in UAE. Waste management is the overall process of collection, transportation, treatment, and discarding of waste products, sewage, and garbage. It also includes other legal, monitoring, recycling and regulating activities. There are many forms of waste such as solid, gas or liquid and each has different process of disposal and management. Waste management manages different types of waste created by industries, household, commercial activities or natural waste. Large segment of waste management deals with municipal solid waste i.e. the waste created by industries, housing, and commercial establishments. GE3S provides Energy Audit Service in UAE. An energy audit is an inspection survey an analysis of energy flows, for energy conservation in a building, process or system to reduce the amount of energy input into the system without negatively affecting the output. Lower utility bills: One of the main reasons to schedule a home energy assessment is to find out how your house makes you waste money on your energy bills. Losing heat means you must spend more time running your heating system to replace what is lost; during a Pittsburgh winter, this can be significant. The problem occurs in summer as well, when heat enters through air and insulation leaks and raises the humidity, which puts pressure on the air conditioner. An audit will show you where you can create better heat sealing against the outside and lower the amount of your HVAC system usage. GE3Sspecializes in Environmental Engineering Services. Environmental Engineering Services refers to the use of scientific processes to help improve the Earth’s environment to provide healthier land, water, and air for human use and to find ways to scale back on pollution sites. It uses the principles of biology and chemistry to develop solutions to environmental problems. GE3S environmental engineer’s helps in integrating scientific and engineering principles to minimize air pollution and waste discharge from industries, clean up polluted sites, set up an appropriate mechanism for waste disposal resulting from human activity and study the impact of proposed construction sites on the environment.